Our favorite way to take any sandwich to the next level is with our wide selection of Giuliano products. Your favorite toppings can elevate your sub game, leaving your taste buds happy and your tummy full. 1. Slice the bread and apply an even layer of mayo to the top. 2. 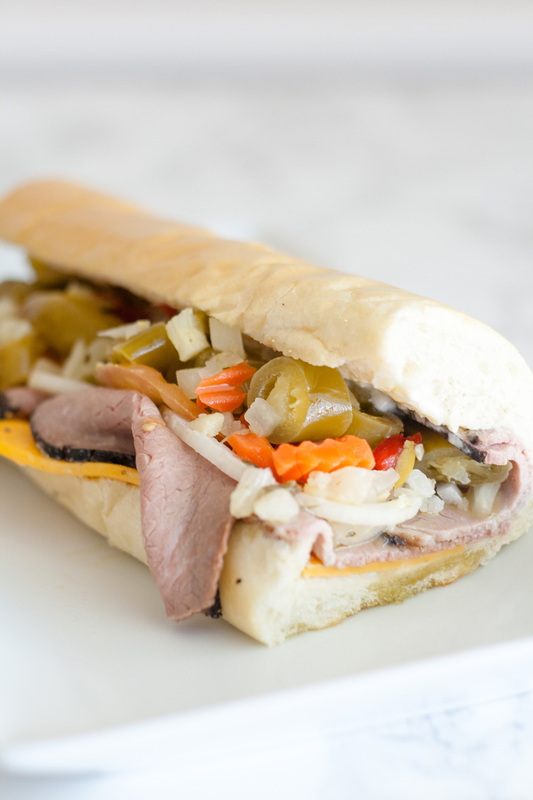 Layer cheese and roast beef, topping with a large helping of Giuliano Hot Giardiniera.